So for months I was on the hunt for the perfect set of makeup brushes, but everywhere I went the sets were bound to break my bank account and I wasn't about that life. That is until I found these bad boys on Amazon, yay! At $13.59 they were a steal. You can get your hands on them here. These are made by Crazy Cart cosmetics, which isn't a huge namebrand, but that didn't really factor into my decision. Aside from the fact that they're pink, my favorite color, (can't you tell?!) they are synthetic. Let's get down to the basics of what that means. 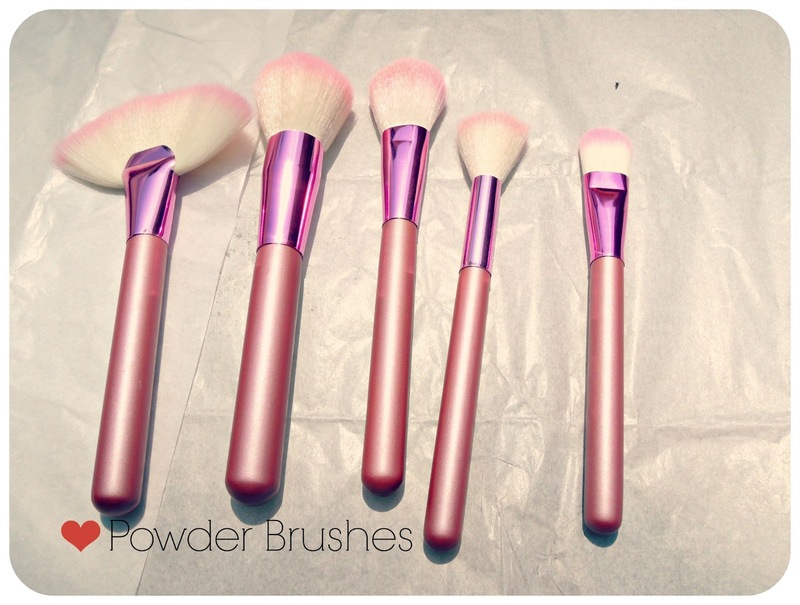 Makeup brushes are designed using natural or synthetic aka faux hair fibers. Animal lovers, listen up! Natural brushes are more expensive because they contain real animal hair like goat, horses, mink, squirrel, you get the idea. Sometimes they are made humanely and unfortunately other times they aren't. You can read more about the practices here. 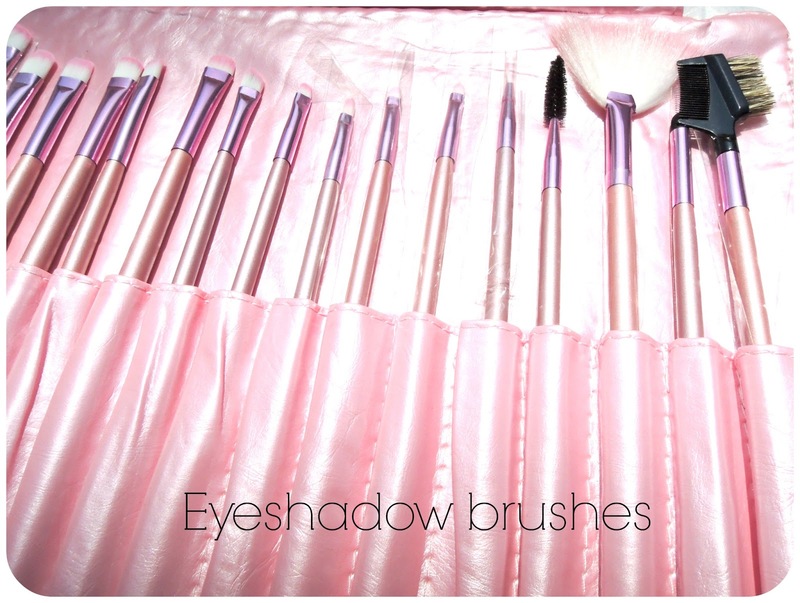 Synthetic brushes on the other hand are man-made fake bristles that are made of nylon or taklon, a polyster fiber. It sounds like they're cheap but synthetics actually have lots of pros. For one, they're waaaayy easier to clean because they don't trap product inside like natural brushes do. Your makeup loves to cling on to the natural animal fibers and it takes a lot more effort to get rid of all that gunk. While we're on the subject of cleanliness, they also repel bacteria better than animal hair. This adorable pink pouch is perfect for carrying everything I need during overnight trips or vacations this summer! Personally, one of the reasons I love synthetics is that they shed way less than natural brushes which makes them last longer and not lose their shape. Some would make the argument that synthetics do not last as long because they start falling apart from the handles within six months or so, versus natural brushes which can last longer. This is because of bad makeup brush cleaning habits. Basically, when water gets into the handles of synthetics brushes, they can start to fall apart but it's possible to keep this from happening. We'll save that whole subject for another post. So when it comes to actual makeup application, which one takes the cake? That honestly depends on what products you prefer using. I find that synthetics have a variety of uses and are especially great for applying cream based products like foundation, blush or lipstick. For example, this set is perfect for getting my bronzer and CC cream on just right because the bristles are SUPER soft and fluffy. I also don't lose much product when I'm transferring the product from its container to my face. This means that they are a good choice for achieving precise results when it comes to covering up blemishes, working on your lash line or using dark shadows and colors. If you try this with a natural brush, you'll likely get a sticky or cakey finish which isn't cute. 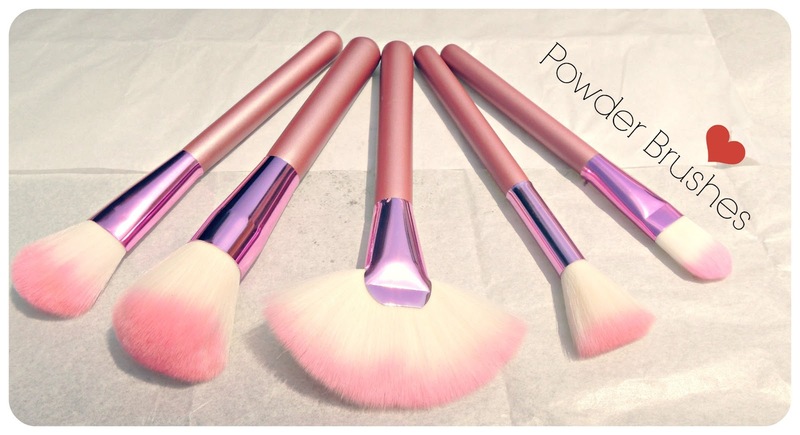 This fan brush is so useful for buffing my makeup, cleaning up mistakes or blending overall. Same with the blush brushes, they help give me an effortless sun kissed glow! I might have to replace the foundation brush however because it's the only brush from the set that doesn't grab on to product well. Beauty tip: Always comb out your eyelashes with a wand like the one pictured above (second to right) to get rid of any clumps! I've heard that natural brushes are useful for applying eye shadows and loose powder because they provide a nice even and natural application. While this may be true, for my purposes, these work just fine. Not to mention, it feels good to know that I'm not harming some helpless animal in the process. When it comes to synthetic and natural brushes, which do you prefer? Do you like to mix them up and interchange between the two? Thanks for this post. I use a natural brush, but just one, and I have had it for years.. But for the eye, I use synthetics. I will be more cognizant of this issue. I'm loving that you use mostly synthetics, that's awesome :) It's definitely an issue that should be talked about more and I hope that this post sheds some useful light on it! Hi Thalia! Nice to meet you dear. 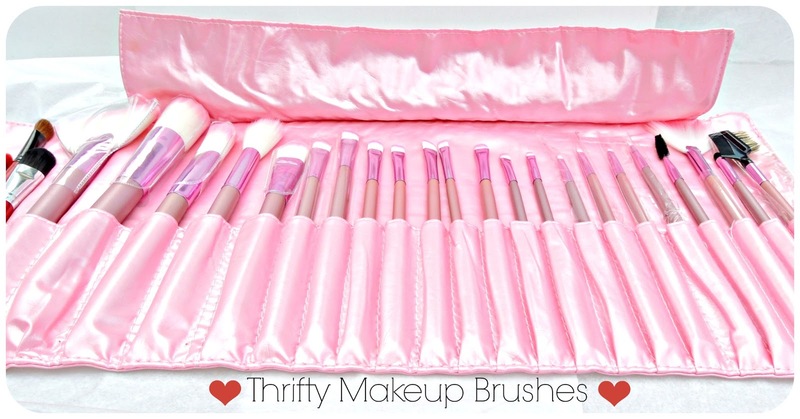 I love this pink brush set, it's sooooo cute! Now waiting for your turn on both! Done and done! Following you now as well, thanks for connecting :) So happy you like the brush set btw! 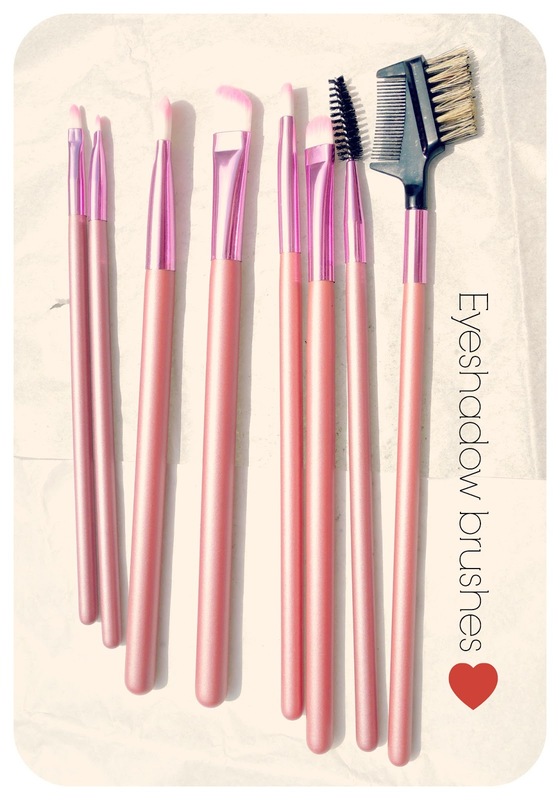 I love pink & buying new brushes - this is wonderful! Your site is lovely & I am nominating you for a Liebster Award.